EDUCATOR: Mrs. Prerna Rathod was selected as the Educator this Week. 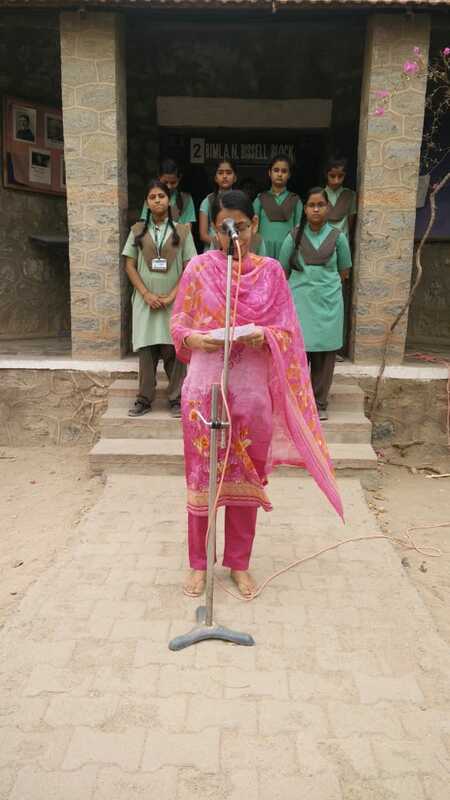 She shared her views on the importance of goals in one's life. She shared that one must have a goal in his or her life. Goals give a person, zeal to do a lot of hard work. She said our goals should be smart, specific, measurable, attainable and realistic. JR: My favourite class was Biology Class (Science) during my School years. ED: What do you think of the campus and extracurricular activities? JR: During my School years I was an active participant of all the activities taking place in the campus which now I feel have helped me a lot to develop my skills and when it comes to the campus I think it is clean and beautiful and I love its peaceful environment and feel blessed over there. ED: How did the school prepare you for the career? JR: Yes, I feel that the school has contributed a lot to prepare me for my career. During the lessons the teachers used to talk about various career sectors and the path to reach there which helped me to chose the right path for my career. JR: My favourite spot in the school was the tree near the Principal‘s Office. 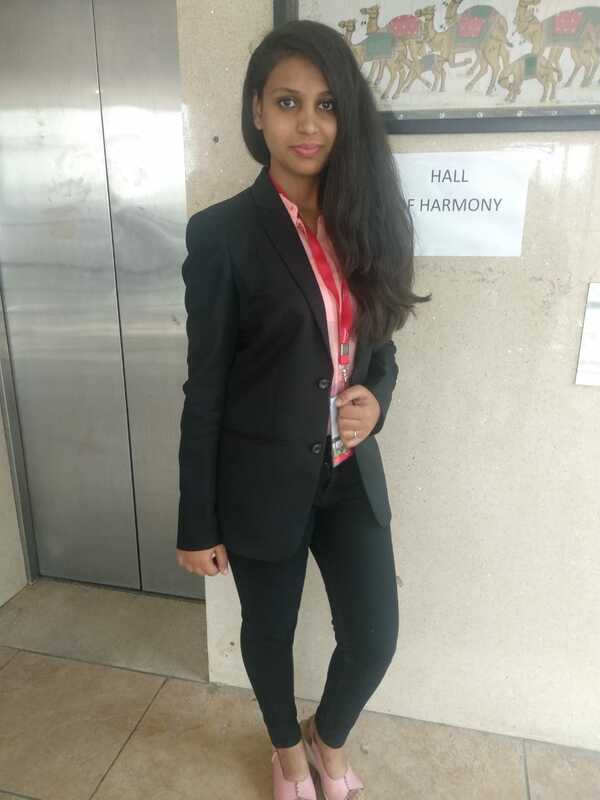 JR: Yes, I used to participate in each and every activity taking place in the school which mainly consisted debates, extempore, etc. JR: Nowadays I am pursuing my third year in B.D.S (Bachelor of Dental Science). JR: Study well with lots of enjoyment because these days will never return. STAFF: Staff wished Mr. Sandeep Singh/ Admin Head on his wedding. May the couple be blessed and have a bright and prosperous future. 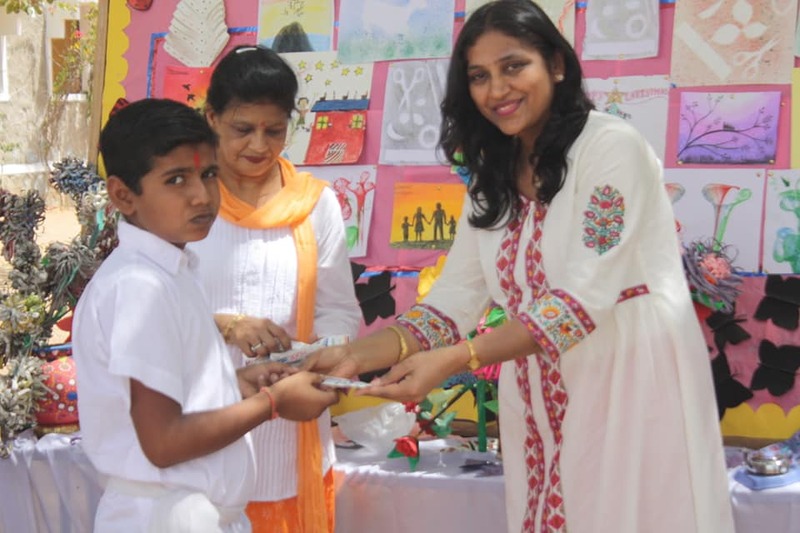 Wednesday April 17th- Saturday April 20th: The School observed holidays on the account of Mahaveer Jayanti, Easter and Good Friday. Published by The Editorial Board: Mrs Bharti Rao, Mr Krishan Gopal,, Ms Swabhi Parmar, Mr Jafar Khan, Mr. Usman Gani, Harsha Suthar, Anumesh Rao, Ipshita Rathore, Archana Koratkar, Meenakshi Choudhary, Vinita Sirvi, Charu Vaishnav, Varun Malviya & Ronak Devda. 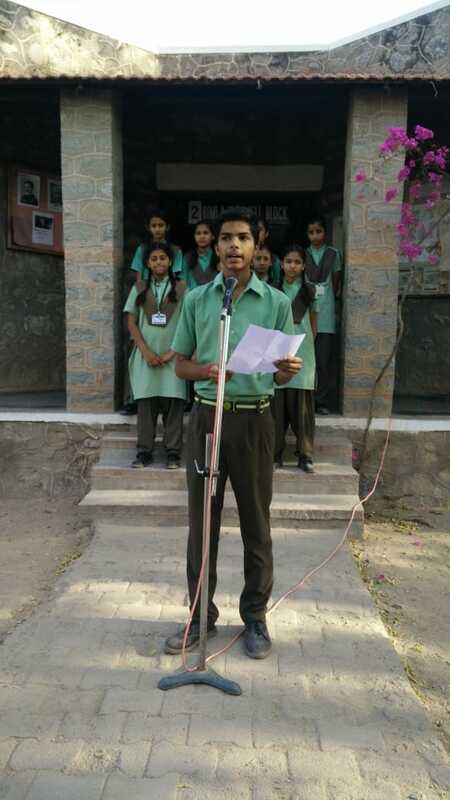 STUDENT: Lakshyaraj Singh Sonigara/XII was selected as the Student this Week. He shared his views on the impact of modernization on traditional culture. He talked about positive and negative impact of modernization on us. He shared it affects the social culture patterns in the society.The study concludes family system that has been severely affected by modernization and life has became artificial, people act as robots . Modernization has negative effect on our environment. Modernization brings technology that consumes energy and leads to such things as air pollution and climate change. Another negative effect on our society is modernization breaks up the social ties that bound people together in traditional societies. Education plays an essential role in society, creating knowledge , transferring it to students and fostering innovation. There are positive point of modernization in the education field as it provides you the opportunity to gain knowledge from various sources and it helps to establish yourself. shared his views on importance of Time Management. He gave an inspirational and motivational speech on Time Management and importance of time in one's life. He told that many suffered throughout their life just because they did not give any importance to time. One can miss an important event like interview or train if he would just be late for a few moments. He said time is very precious so we should use each and every minute wisely. He illustrated this with an example that if gold is lost somewhere we can get it somehow, but once time is lost it cannot come back so we should use it wisely and we should maintain a time table so that we don't waste our time. 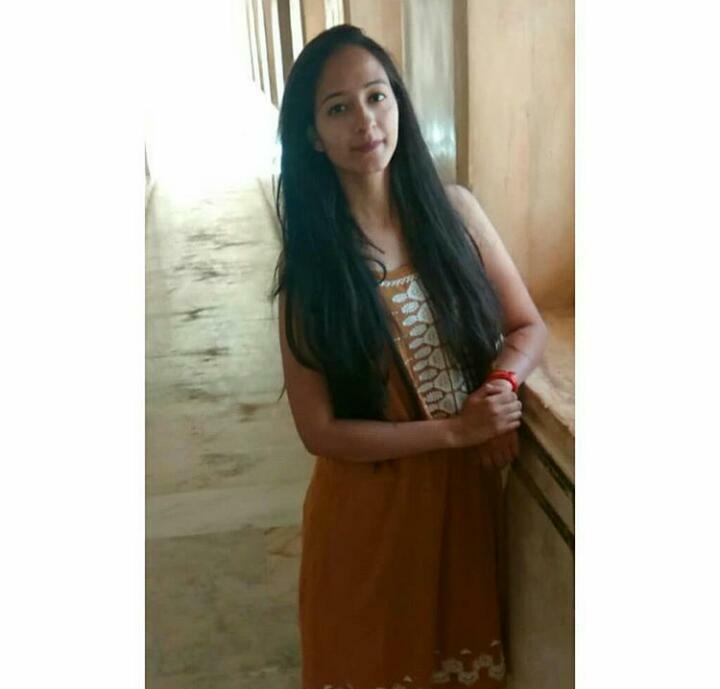 BK: My favourite Classes included Class X which gave me some wonderful memories to cherish them for rest of my life and yes, Class IX was also a huge part of this memorable journey. ED: What do you think of the School Campus and extracurricular activities. BK: I think that the ambiance of the campus is really good and peaceful which helped me in my studies. And when it is about extracurricular activities , they molded me to be a confident and strong person. BK: I can remember it very clearly that how my teachers became my guides and advised me for the best in every way so that I could accomplish my dreams . BK: My favorite spots included basketball court, empty corridors, classroom, music room and science lab. BK: Yes. 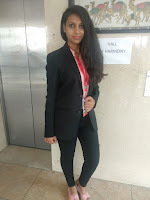 I used to participate in many school activities which included basketball competitions and other sports activities, other than that I used to participate in competitions like extempore, debates, etc. 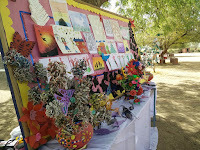 BK: Fabindia School is one of the best Schools in rural Rajasthan. Every student gets a personal opportunity of his/her own interest. There is a lot to learn from our elders and the surrounding so keep learning. To being a place of love-angers. To leaving with heavy hearts. To remembering them in minds. To studying in classrooms and wandering around. To leaving with tears in eyes. Friday, 12th April: CBSE Subroto Mukherji Cup, Rajasthan are organising U17 Boys Football tournament and our school team is participating in it. Players were seen doing sprint, shot practices, passing, shooting accuracy etc during their Games Lesson. Mostly students of Class VIII ,IX and X gave trials. 3.Be a loving child and have fun". ED: What do you think of the School Campus and extracurricular activities . SK: I think that the Campus and its location is wonderful other than that I liked the presence of healthy environment and when it is about the extracurricular activities I think that they helped me to develop my each and every skill. 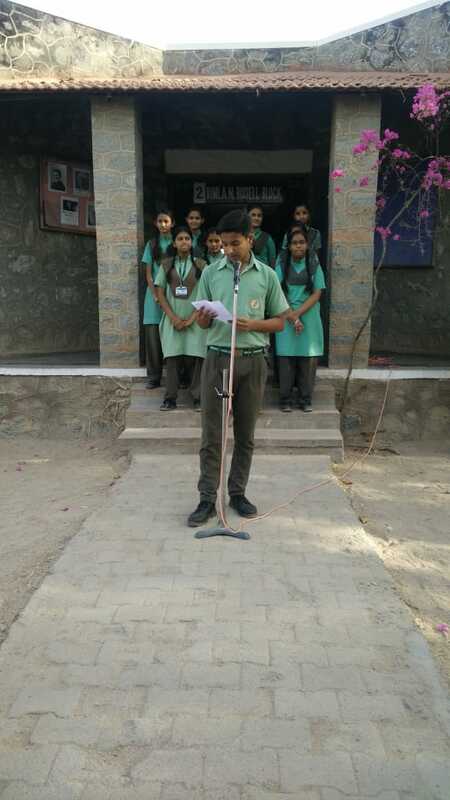 SK: I thank my school and my teachers for building various qualities like communicative skills, public speaking qualities, etc which are now helping me in building my career. ED: What was your favorite spot in the school? SK: My favorite spots in the school was the library since I used to spend most of the time over there, only because I was and still I am very fond of books. 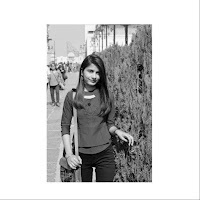 SK: Mostly I used to participate in events and activities related to literature such as elocution , extempore, debates, etc. 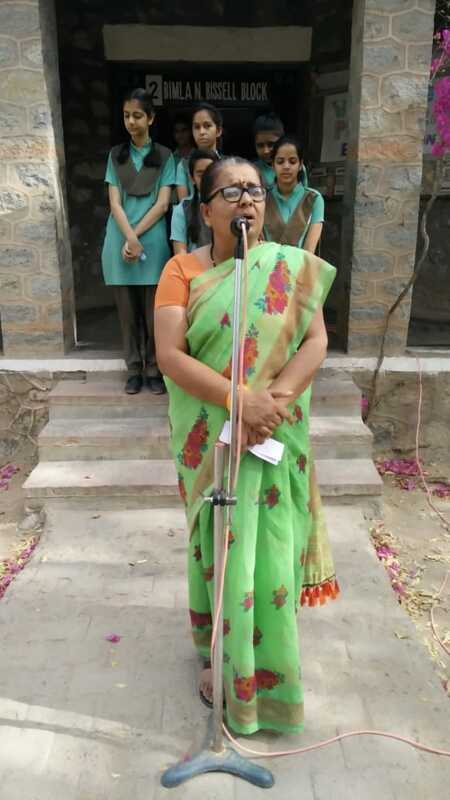 SK: I feel very proud to be a part of Fabindia school and hope that you all are also feeling the same because before loving your studies it is very important to love your school. 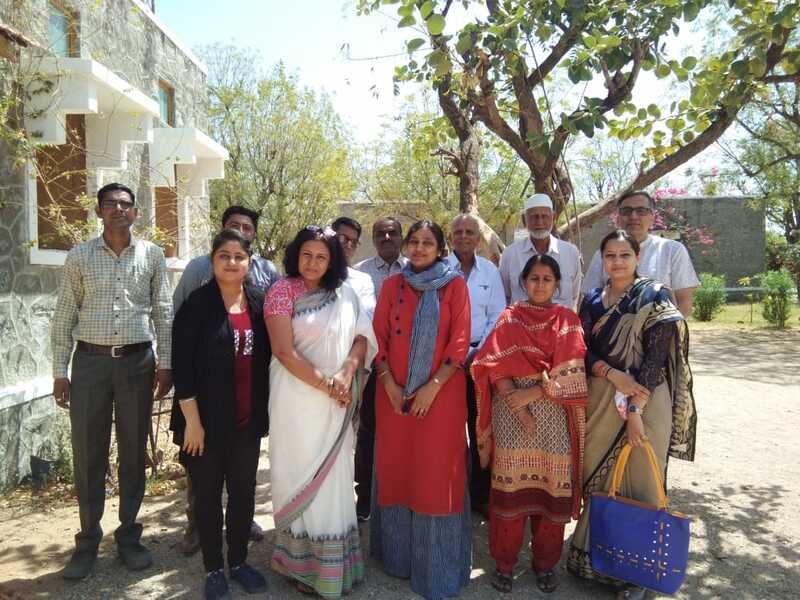 STAFF: The new SMC first meeting was organised on 4th April 2019. 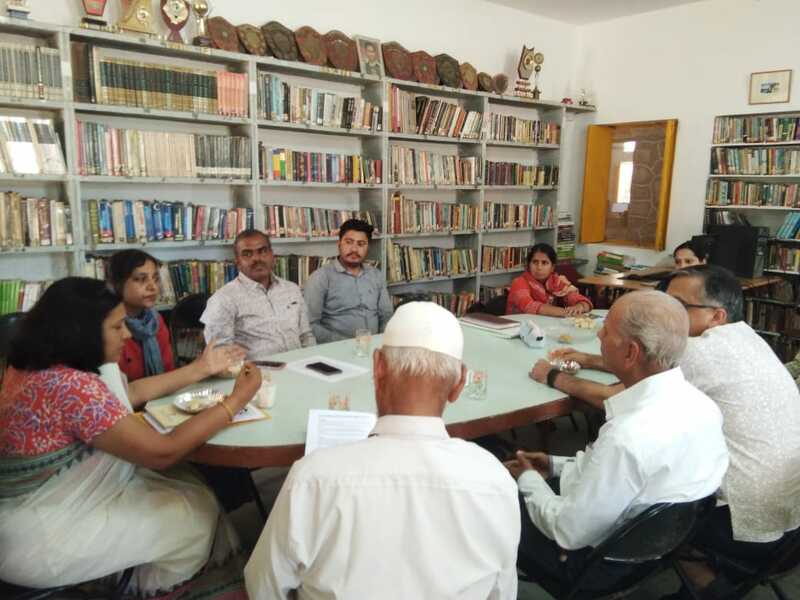 The members present in the meeting were School Excecutive Director Mr. Sandeep Dutt, SMC Chairman Mr. Sulaiman Tak,Principal Ms. Rajshree Shihag, Ms. Ramila Tripash, Mr. Gopal Singh, Alumni Yogendra Ranawat, Mr, Jaffar Khan, Ms. Ayesha Tak, Ms. Swabhi Parmar and special invitees - Mr Ashok Punmiya(Marwad Media) and Mrs Meenu Palrecha. 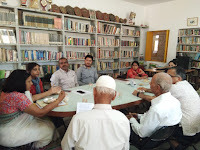 The key discussions of the Meeting were new committees were made - Events and Annual Function committee, Campus development Committee and Scholarship Committee etc. It was informed that soon Atal Tinkering Lab will be established in the Junior Campus. School welcomes Mr. Ranveer Goyal as our new English & Social Studies teacher. 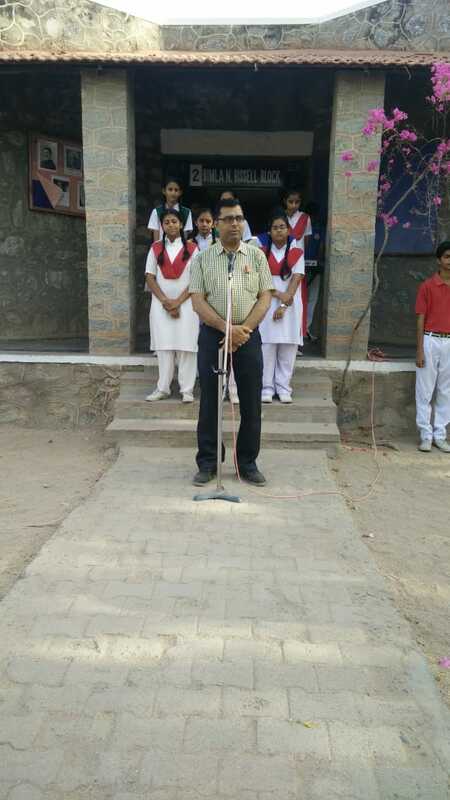 School welcomes Mr. Urvish Singh as our Science & Math teacher. School wishes them all the best and a rewarding time with us! Monday, 1st April: After two weeks the School was abuzz again with student life. All students went to their new classes. That day for half day Clubs and Society Meetings were organised. All the students chose their new clubs and societies. 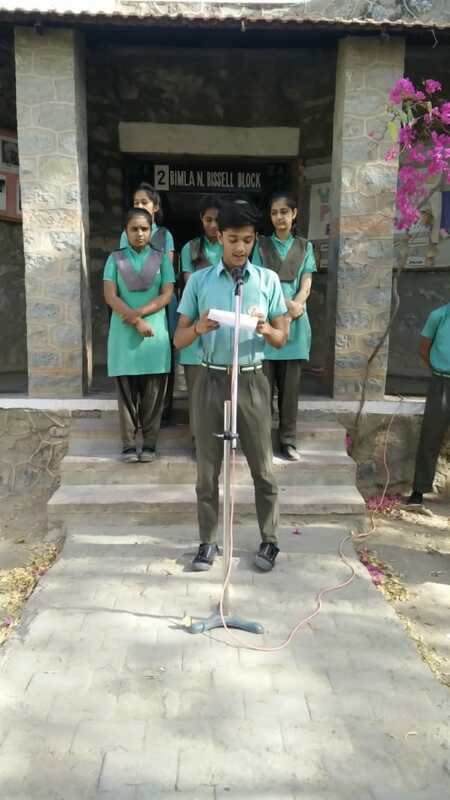 Tuesday, 2nd April: Five students of Class X 2019-20 applied for the two weeks Young scientist program during summer which is organised by ISRO. Wednesday, 3rd April: HundrED Web Day, Facebook Live session was organised in the school which was hosted by Executive Director Mr. Sandeep Dutt along with the My Good School Dean Mrs Kusum Sharma, Swabhi Parmar/ Educator and Students. It was an informative session about My Good School program and its philosophy which was given by Mr. Sandeep Dutt and Ms. Kusum Sharma as the Dean spoke about the changes which came after the application of My Good School program in The Fabindia School and Ms. Swabhi Parmar spoke about the activity culture of the program and the students spoke about the outcomes which shape them as a better person and they shared their views on how My Good School program helps in the overall development of their own personality. Saturday, 6th April: Adventure and Trekking Trip was organised for the students of Scouts and Guides. 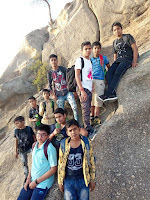 They went to Dantiwara and were escorted by Mr. Abhay Singh and Mr. Urvish Singh. STUDENT: Nitesh Jain/XII was selected as the Student this Week. He shared his views on Importance of Sports in our life. We all should actively participate in all sports activities. Sports make us healthy and it is very important in our lives. So we should also focus on sports and should give at least one hour to sports daily. He said variety of sports activities bring positive opportunities in life. KS: My favourite Classes during those days were Biology, Chemistry Classes. 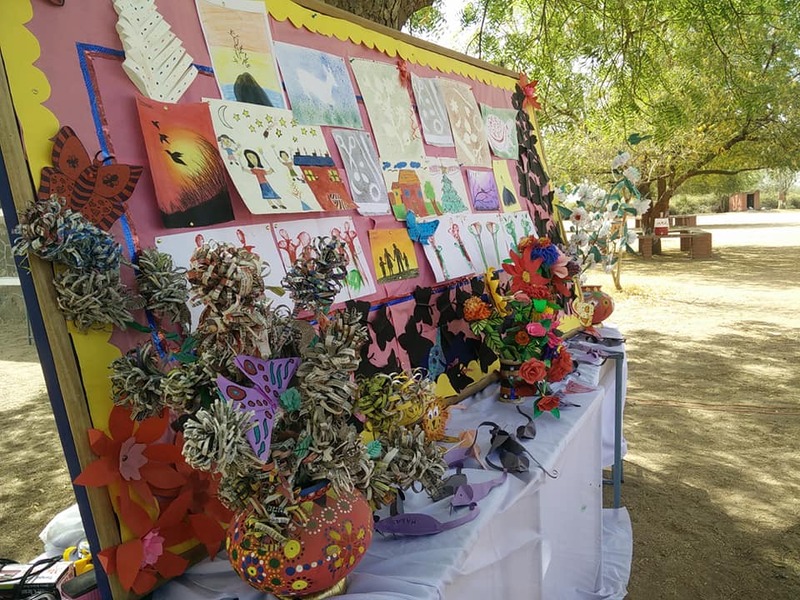 KS: I feel that it is the best School in the nearby area and as per the extracurricular activities, activities like sports, dances and many more has contributed a lot in developing my skill. KS: The School and my teachers prepared me for my career by guiding in various fields like what subjects should I take and what preparations do I need to do to achieve it. KS: My favorite spot in the school was the area near the stage. KS: I used to participate in sports and activities related to science. KS: Enjoy your school days and feel proud to be a part of it. STAFF: Educators were busy in Yearly Syllabus Planning and Lesson Planning for their new classes in the Academic Term 2019-20. Educators wished Ms. Manisha Devda Happy Birthday. May God Bless her! 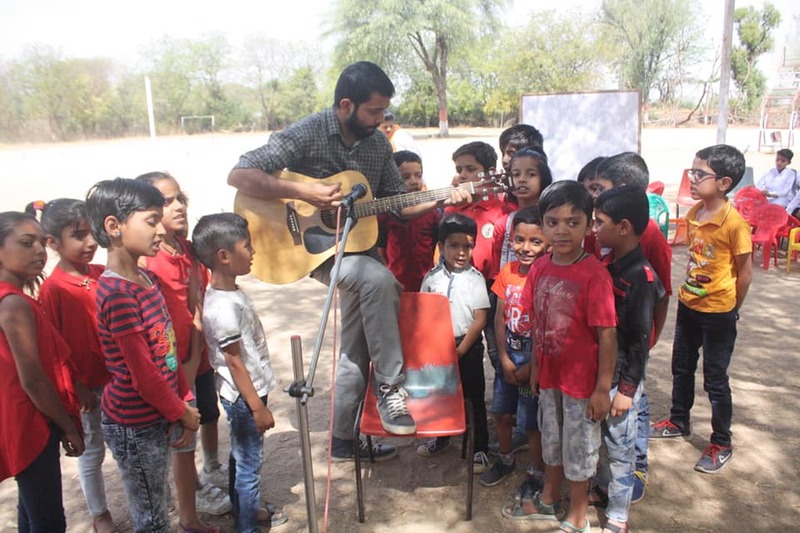 Friday, 29th March:The school organised Superstar kids camp 2019 in which the children of other schools were also invited to attend the camp and learn different activities like dance,music,spoken English,personality development, general knowledge and sports. 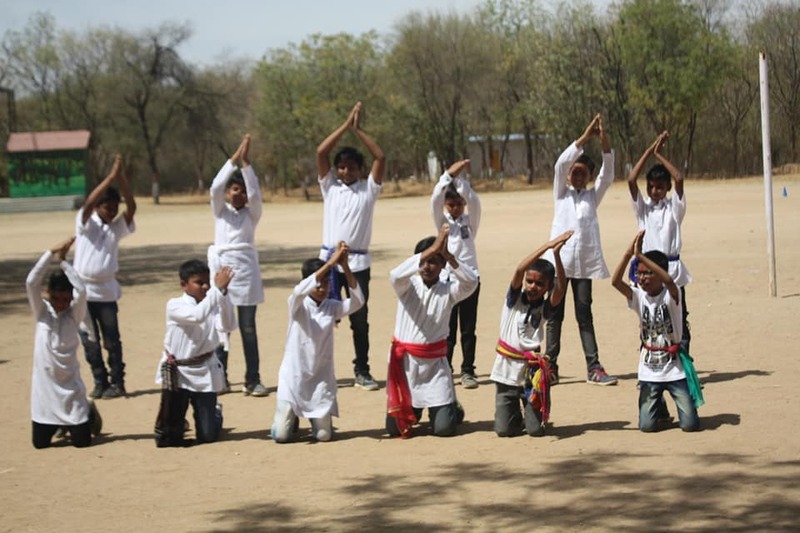 On 29th March 2019 Closing Ceremony of the camp was organized in which all the students who came for the camp performed in it. The parents of the students were also invited to see the Closing Ceremony.The program had dance performances, song performances and general knowledge quiz competition.The program was a success as the parents appreciated the initiative of the school for organizing such a great learning experience and putting up a great Closing Ceremony. Parent Mr. Ashok Punmiya commented "फैबइंडिया स्कूल अपनी शुरुआत से ही अनूठा रहा है.स्कूल के वातावरण से लेकर पढ़ाई के तनावमुक्त तरीके और समर्पित-मधुरभाषी शिक्षकों-शिक्षिकाओं तक बच्चों और अभिभावकों को लुभाते हैं.हालांकि इस वक़्त मेरा बेटा या बेटी इस विद्यालय में अध्ययनरत नहीं हैं,किन्तु मेरा जुड़ाव इस स्कूल से इसकी शुरुआत से लेकर मेरी बेटी के यहां 12वीं तक अध्ययन करने तक बराबर रहा.वो लगाव आज भी बना हुआ है. आज का कार्यक्रम भी बहुत अनूठा था.सप्ताह भर में बच्चों ने यहां जो सीखा उसका प्रस्तुतिकरण तो लाजवाब था ,शिक्षक,शिक्षिकाओं तथा स्टाफ का समर्पण भी काबिल-ए-तारीफ था I फैबइंडिया स्कूल की ये संस्कृति और संस्कार कायम रहने चाहिए." Saturday, 30th March: Result of the Academic Year 2018-19 was announced that day. PTM (Parent Teacher Meeting) was organized for Nursery to IX & XI. About 99% Parents attended the meeting. Majority of them were satisfied with their ward’s performance.